Your classic car is more than just a hobby. It is a piece of automotive history. It may be a piece of your history. It is your passion. It is also more than likely a significant investment. Titus-Will Service & Tire gets that. We share your passion for classic cars. They are rare treasures that need special care and attention. When it comes to preserving their value, maintenance is priority #1. Titus-Will has been a fixture in the Pacific Northwest auto industry for decades, dating all the way back to our first Ford store in 1938. Our Titus-Will Service & Tire mechanics have extensive experience with vintage vehicles, which is why we’re quickly becoming Tacoma’s top classic car repair shop. If you own a classic or vintage car or hot rod, our expert team of Titus-Will technicians has the training and equipment to keep your classic car in tip top shape. Titus-Will performs maintenance and repair on all makes and model classic, vintage, hot rod, and muscle cars, including Chevy Bel Air, Ford Mustang, Chevy Camaro, Pontiac Firebird, Buick Skylark, Cadillac Eldorado, Dodge Charger, Ford Bronco, Chevy Blazer, Ford Thunderbird, Pontiac GTO, Chevy Chevelle, and more. If you want your classic car to look car show ready, bring it to Titus-Will Service & Tire in Downtown Tacoma. Titus-Will Service & Tire in Tacoma is your trusted muscle car specialist in the Pacific Northwest. We do all maintenance and repair for classic Ford Mustang, Chevy Camaro, and Dodge Charger. If you own a classic Ford, classic Plymouth, classic Oldsmobile, classic Pontiac, classic Chevrolet, classic Dodge, classic Buick, classic Cadillac, or any other classic automobile, Titus-Will Service & Tire in Pierce County is your trusted maintenance and repair shop. We perform maintenance and repairs for classic car customers in Tacoma, Puyallup, Lakewood, University Place, and beyond. One stop at Titus-Will Service & Tire does it all when it comes to your prized classic car. Our services include everything from routine maintenance to specialized care unique to your vintage treasure. Classic cars are an entirely different breed from today’s cars, and Titus-Will Service & Tire is the first place to turn when you want the best care for yours. 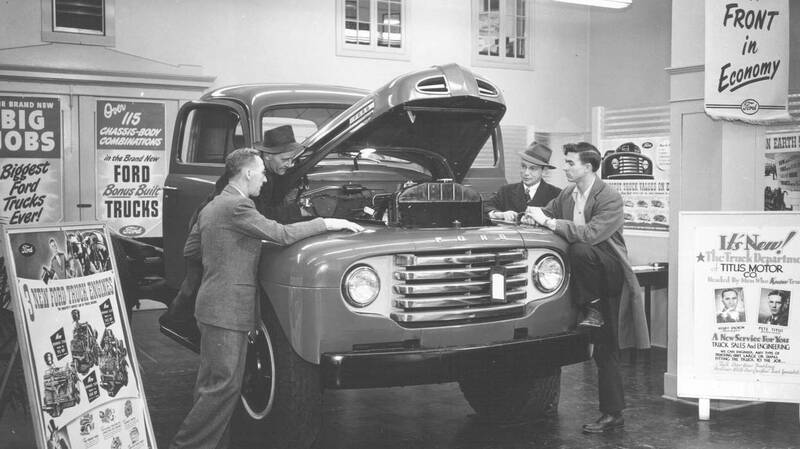 Tacoma and Olympia have been turning to Titus-Will for Ford and Chevrolet vehicles and service for over 80 years. Get started scheduling service for your classic car at Titus-Will Service & Tire by telling us a little about yourself. Tell us about your classic car.